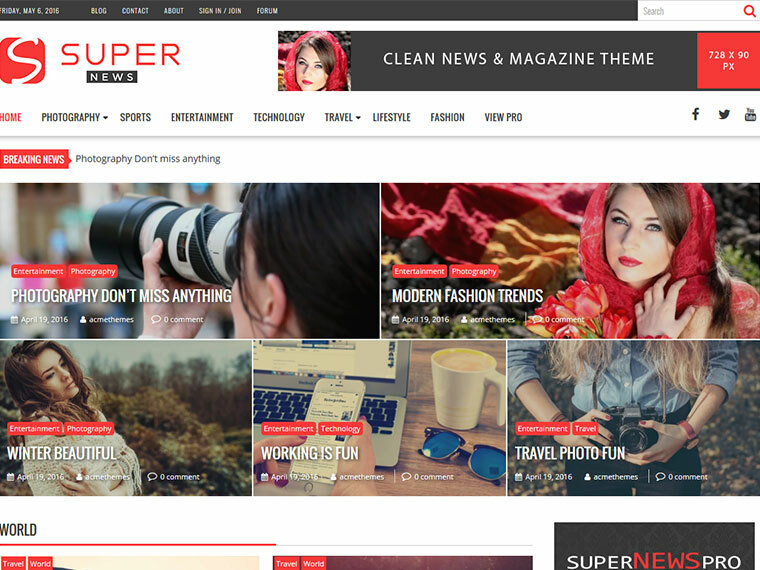 SuperNews theme is ideal theme for News, Magazine, Blog and Reviews sites. It is a splendid mix of quality code and elegant design. SuperNews is fully responsive theme with lot of competencies features like light weight, retina ready, font awesome, Google font, cross-browser compatibility, color control, Multiple Layout Options, logo upload, translation-ready, custom CSS field, well documented etc. SuperNews is highly customizable theme. You can customize header, footer, sidebar, main homepage and inner sections easily through the customizer and widgets. It is widgetized theme, with drag/drop/reorder widgetized area you can design front/home page yourself. Its unique features includes advanced custom widgets, advanced layout options, breaking news options, front/home feature section options, featured images options for blog/category/archive pages and single page/post, social media integration, advertisement ready, breadcrumb and more. You can easily customize theme with various options available on customizer. Simple, clean, fast loading theme will help you for new experience on the web world. SuperNews comes with advanced custom widgets for posts and advertisement management. The theme have 5 different custom sidebars areas for managing/designing the contents. 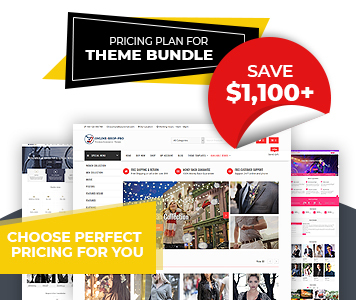 This theme have very beautiful features section with 5 contents from a category. You can manage this section yourself. With footer sidebars and available widgets you can customize what to display in footer footer section. Sidebar options with left, right, no sidebar, also feature image display options in blog and archive pages. With a single click you can change whole site primary color and also have background color option. You can add any background image with different advanced options in your site. In a single post you can enable-disable related post through single post options. You can edit placeholder for search widgets and search in the menu and other sections. You can add advertisement in many sections using theme options and advertisement widget. Add you own custom logo from the theme option. Logo options are also available. You can easily enable-disable date display in the header. Enable-disable breaking news display in the header. Latest Post will appeared as breaking news. You can reset all your theme setting to default or you can only reset color options. Set a default sidebar layout for your website. Left sidebar, right sidebar and no sidebar are available options. You can manage the Blog/Archive layout with show image and no image. Our dedicated support will always available with your problem and provide you the best supports.